ValleySeek is an authorized Gefen Distributor. 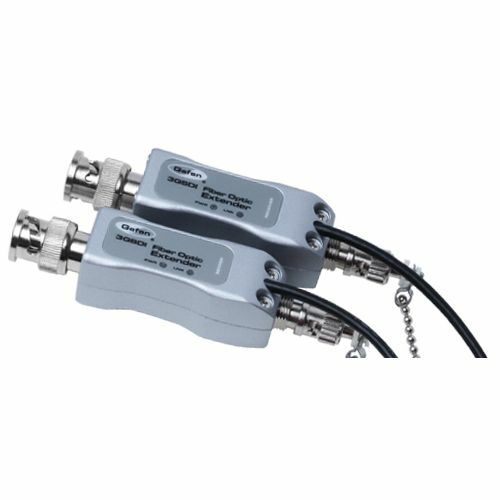 The Gefen 3GSDI Fiber Optic Extender is a miniature digital video transport system over fiber optic cable for 3G/HD-SDI. It transports a one-channel SMPTE-424M 3G-SDI, SMPTE-292M HD, or SMPTE-259M serial digital video signal over extended distances up to 12 miles (20 km) by using either single-mode or multi-mode fiber optic cable. This product has worked as advertised thus far, and successfully filled a need. We accept Visa, Mastercard, American Express, Discover. JCB and Diners Club credit cards.